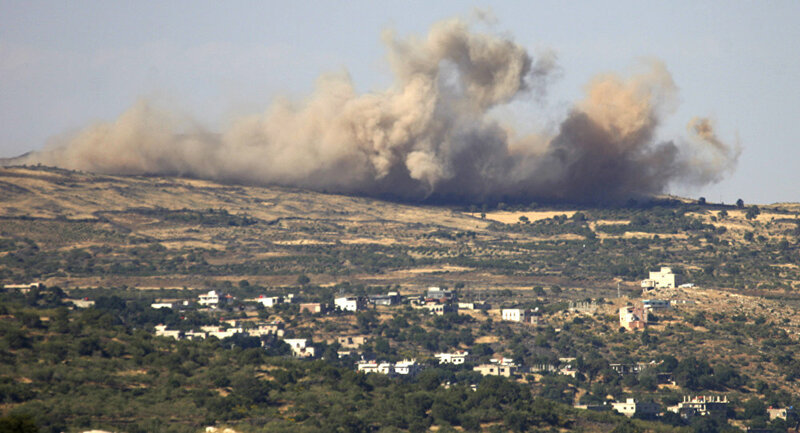 The Iraeli Air Forces attacked al-Nusra Front equipment on Saturday in Golan Heights, not the Syrian army, a source in the Russian Defense Ministry said Sunday. As a result of this airstrike, two tanks and large-calibre machine gun of the terrorists were destroyed. "The Saturday strike of the Israeli air force aircraft in the Golan Heights area was in fact carried out against the armored vehicles of the Jabhat al-Nusra militants. The Israelis simply struck at the place from which the firing was conducted. As a result of this air strike, two tanks and a large-caliber machine gun of the terrorists were destroyed," the source said. 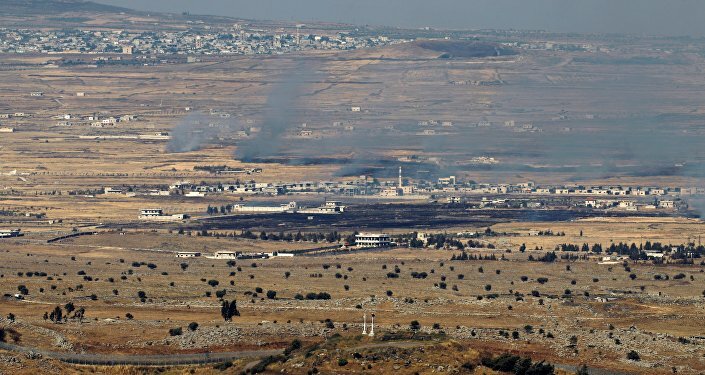 On Saturday, the Israel Defense Forces (IDF) announced that projectiles fired from Syrian territory hit an open area in the northern Golan Heights with no injuries as a result of the incident. ​"Due to the unacceptable breach of Israeli sovereignty, an official protest has been filed with UNDOF," the IDF added. Later in the day, a source on the ground told RIA Novosti that the Israeli Air Forces struck the Syrian government forces when the troops have been repelling a massive attack of the al-Nusra Front terrorists. "The [Syrian] army repelled a massive al-Nusra Front attack on the city of Baath in the Quneitra province [bordering the Golan Heights]. The army took up the fight with terrorists. The attackers have suffered losses. [Syrian] aviation and artillery helped repel the attacks," the source told RIA Novosti.